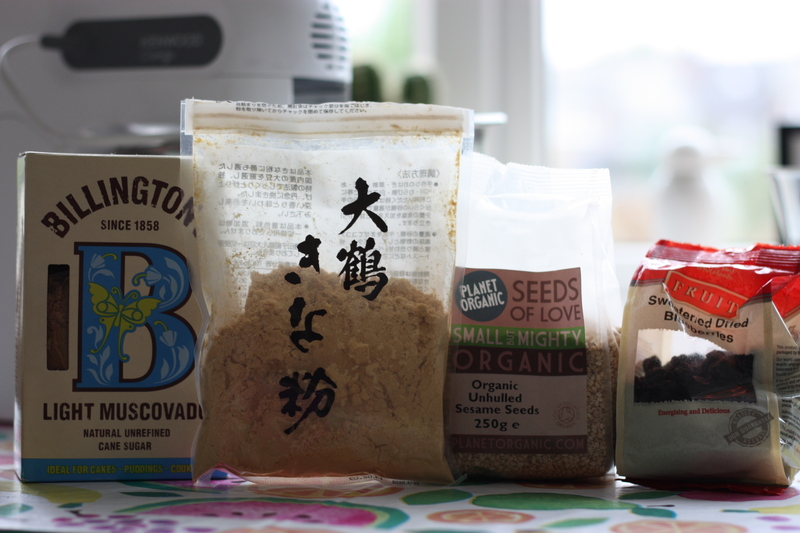 I’ve begun to experiment more with gluten-free baking, and with Japanese ingredients in particular, which I’ve found are usually low in gluten anyway. 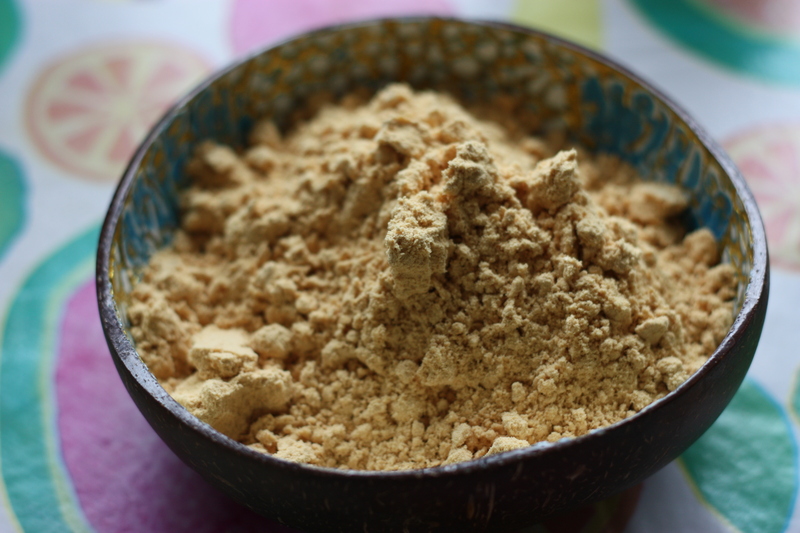 Kinako is a Japanese roasted soybean flour, frequently used in Japanese confectionery. 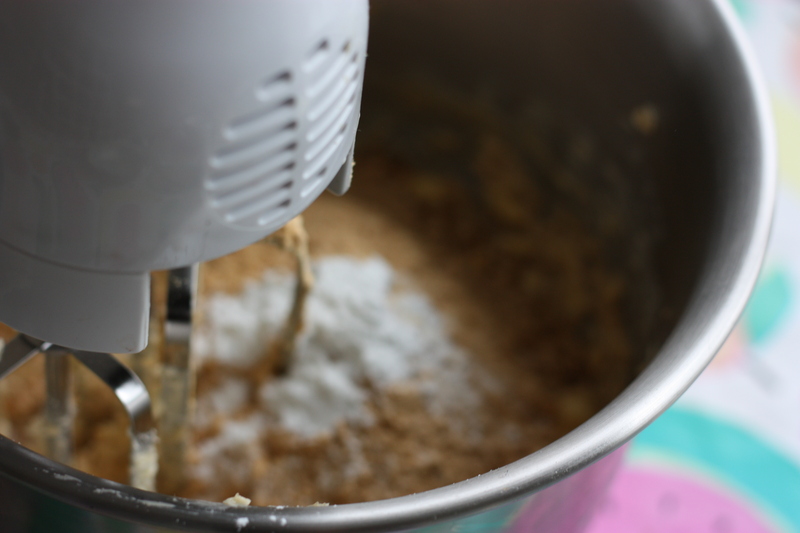 I’d never used it for baking before, but as it’s gluten free I thought I’d have a go at a cookie recipe. 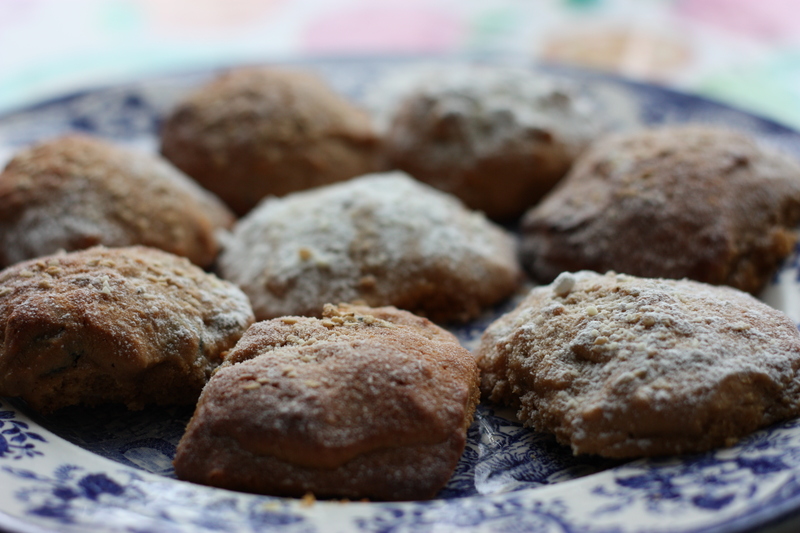 Kinako has a nutty flavour, with the texture of icing sugar or flour. The taste is subtle, and reminiscent of maple syrup or peanut butter. Kinako, which means ‘yellow flour’ in Japanese can be made fairly easily: if you are lucky enough to have a thermomix, you simply blend roasted soybeans into a light powder. For those of us who don’t, you can get your hands on it here in the UK, and on Amazon in the US (here). One of my favourite ways of eating kinako is ohagi, which is a Japanese dessert. I’m also a massive fan of mixing kinako with vanilla ice cream. For breakfast, my grandmother occasionally eats plain yogurt topped with kinako powder, dried blueberries and a brown sugar syrup. This was my inspiration for these cookies, and I think they turned out really well! 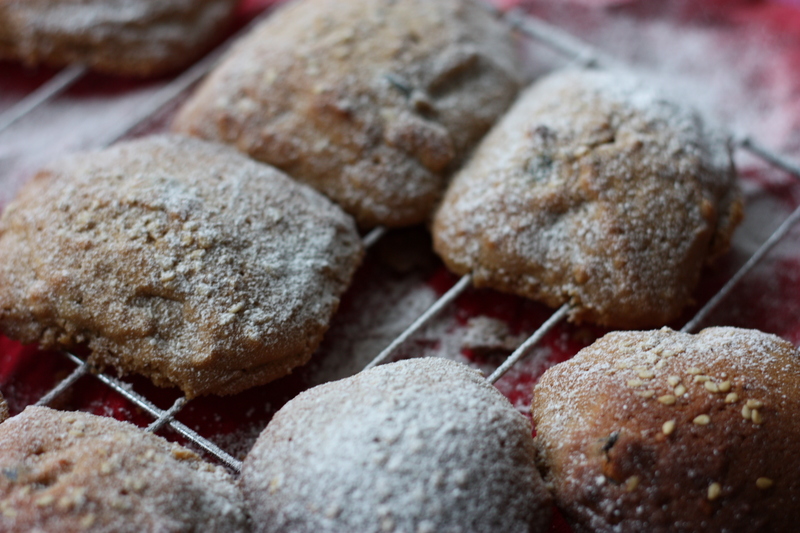 They have a soft, crumbly texture, similar to Russian teacakes. 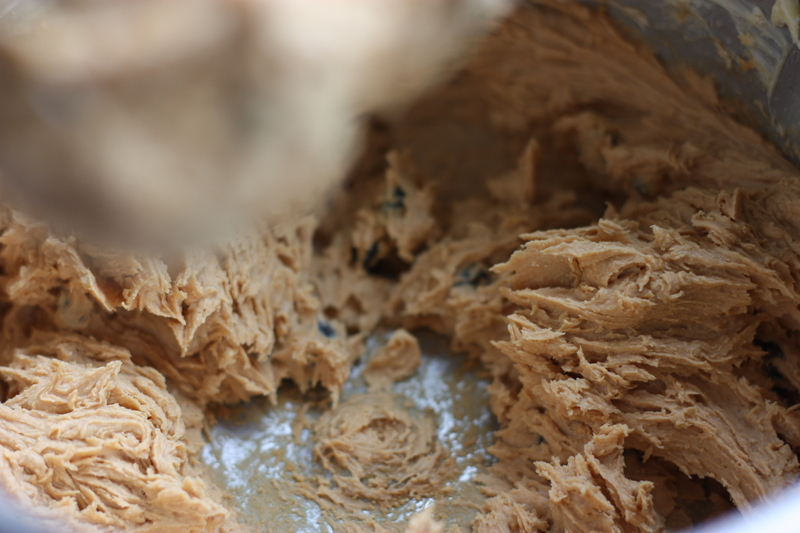 This recipe makes 12 cookies. 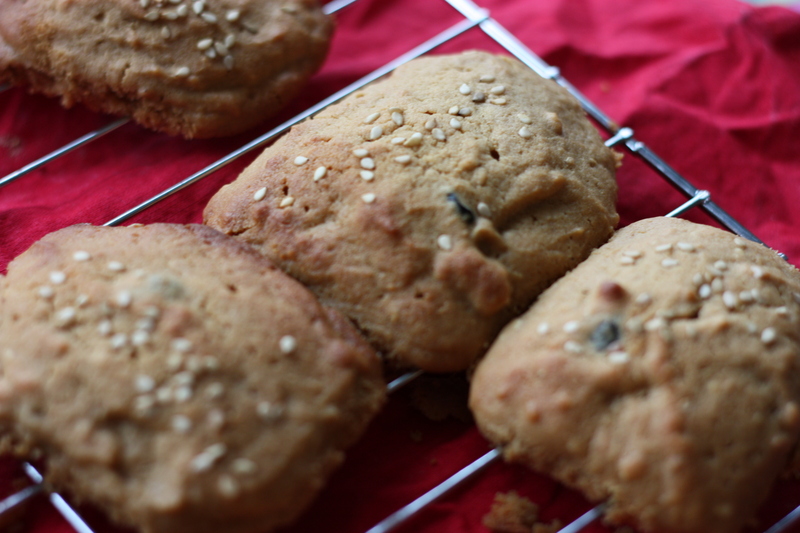 These kinako, blueberry and sesame cookies are a gluten-free tea-time treat, perfect with a cup of green tea. Pre-heat the oven to 170 degrees (celsius). Whip the butter and sugar until creamy, then fold the egg in gently. Add the kinako, baking powder, blueberries and sesame (saving some of the seeds for later). 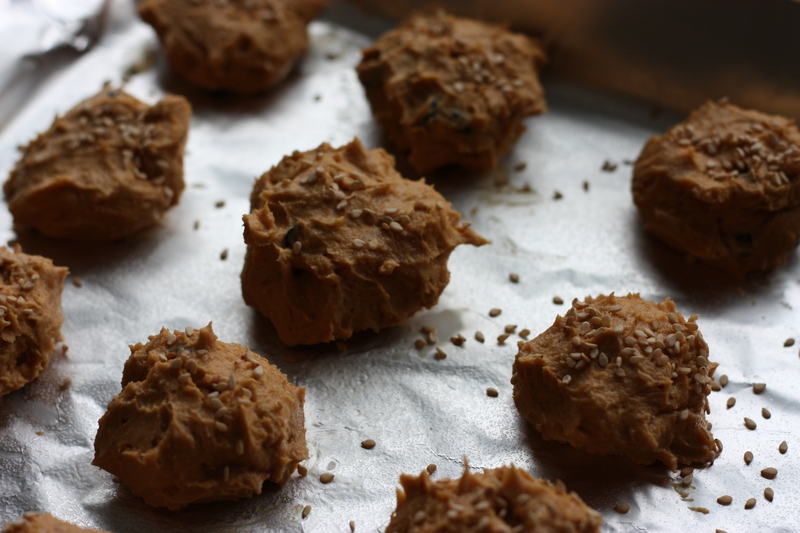 On a lined baking tray, separate the batter into balls, and top with the remaining sesame seeds. 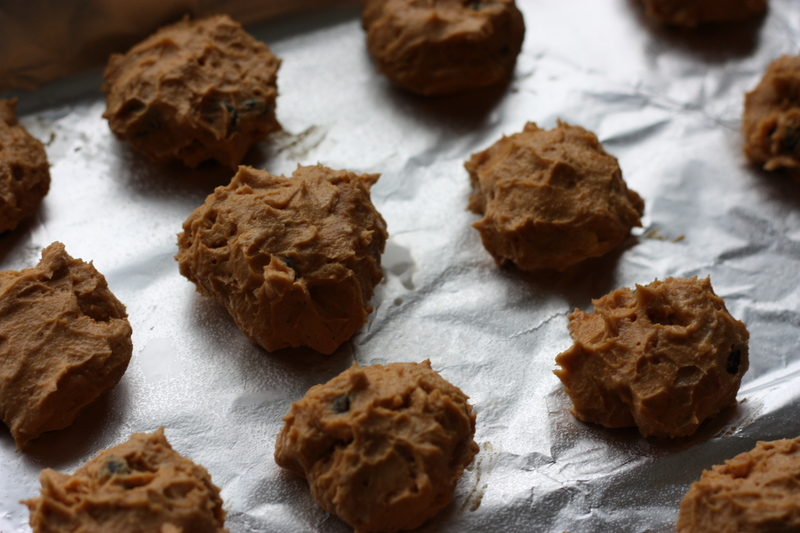 Pop the cookies into the oven for 15 minutes, until the sesame seeds have toasted. 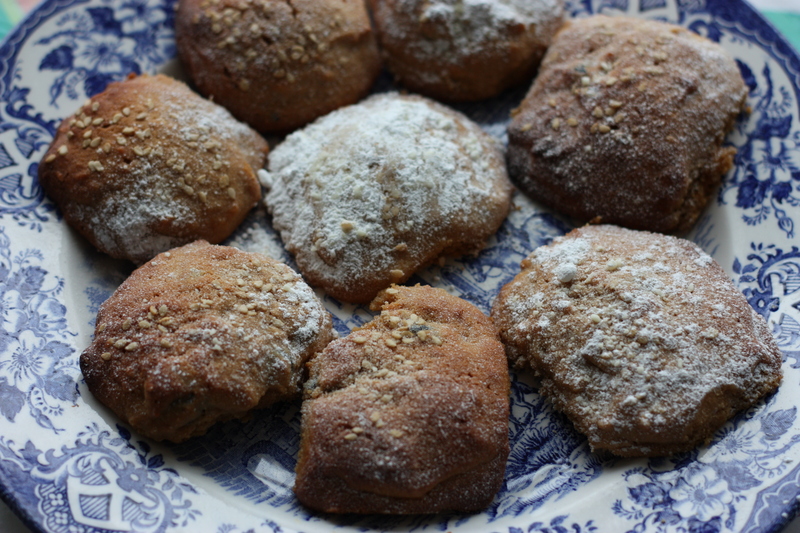 Place on a baking tray to cool, but be careful as they are very crumbly! 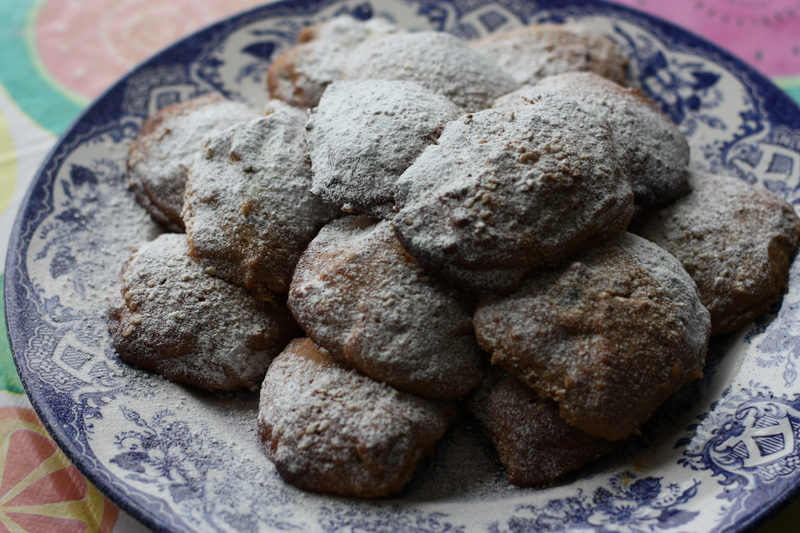 Once the cookies have slightly cooled, top with icing sugar. Serve with a cup of hojicha (roasted green tea), or a pot of English Breakfast! I realised this too the other day whilst browsing in the supermarket- most Japanese food is labelled gluten-free! It’s great, because it means I havent had to change the way I cook too much – but I think switching from soy sauce to tamari is probably the most dramatic change so far!